Salsa Secrets is THRILLED to announce that in collaboration with the City of Portsmouth, NH we are presenting SALSA IN THE PARK - PORTSMOUTH 2019!! Salsa Secrets is also happy to announce two BEACHata events in collaboration with the State of NH Parks! At Salsa Secrets, we are proud of developing an open, supportive dance community. 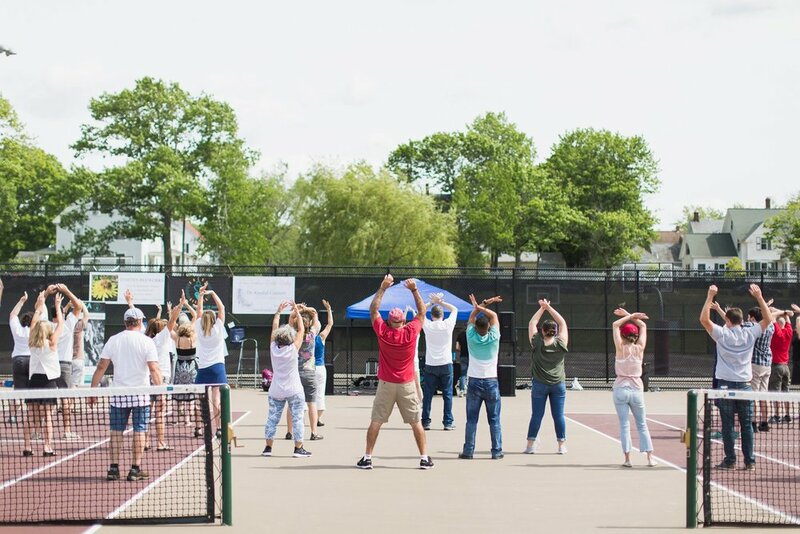 In 2018, we created Salsa in the Park and BEACHata as free events on the Seacoast of NH. Salsa in the Park and BEACHata are an opportunity for dancers, community members, and families to come together in celebration. These events give us all an opportunity to dance outside in the summer months, free of charge. Everyone is welcome. Salsa in the Park will include a 30 minute salsa footwork combination, followed by social dancing. BEACHata will include a 30 minute lesson, followed by social dancing. This event series is possible because of our flourishing relationships with the City of Portsmouth NH and NH State Parks. We are eternally grateful for their support, as well as the support of the dance community. Salsa Secrets mission is to share the "Healing Power of Dance" with our community, by offering a fun, free, outdoor community event. Salsa is a powerful healing modality for the body, mind, spirit and emotions. Salsa in the Park - Portsmouth NH is a gift from our hearts to yours. Salsa in the Park is only possible because of donations and sponsors. This year, we are raising funds to pay for the permits, insurance and an improved dance floor surface. Donations of any amount help us tremendously. Volunteer support helps our events to run smoothly and easily. Click below to join our volunteer staff. Sponsorship makes Salsa in the Park possible. Our sponsors are the core of our event. Our success is your success. We are grateful for your consideration. Click on the logos to connect with our sponsors. In order to continue this event, we must comply with a few regulations to keep us and our community safe. Bring your best attitude and get ready for a fun summer! The power of being in the here and now.